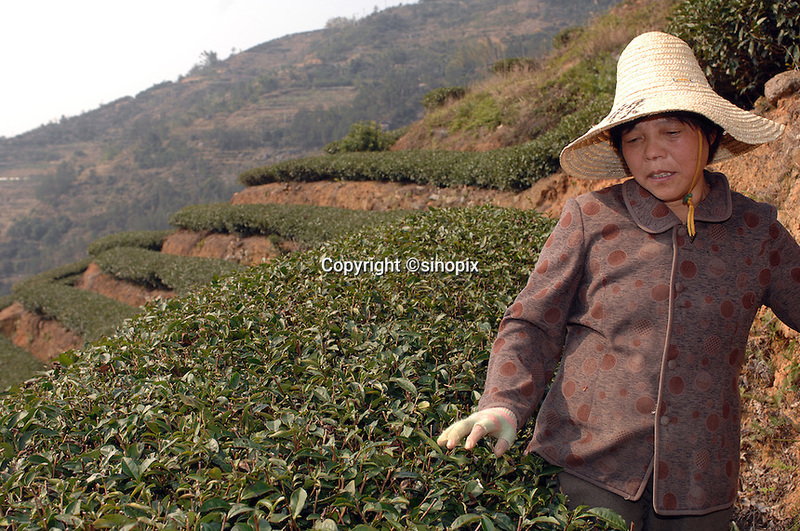 Tu Yin Zhu, 60 works on her 2 acre tea plantation in the mountains outside Fuding City, Fujian Province where "Silver Tip" tea is produced. Zhy makes only 4,000 RMB gross (about 250 pounds) annually from her entire plantation. The tea sells for upto 20 pounds a pot in the UK.